Reinforced Fiberglass Mat is a type of Fiberglass mat reinforced by fiberglass mesh, which gives very strong tensile strength in both longitudinal direction and lateral direction. 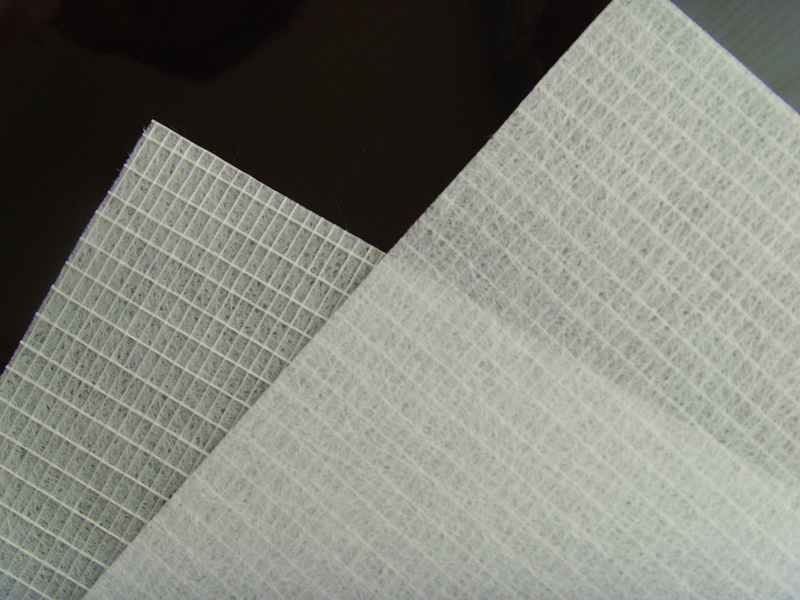 The tensile strength is adjustable by adjusting the mesh size of the scrim and texture of the yarns, so the reinforced fiberglass mat can be produced according to the requirement on tensile strength from our customers. The reinforced fiberglass mat features high tensile strength, high tear strength, corrosion resistant, easy soakage of bitumen, low elongation, etc. 1. 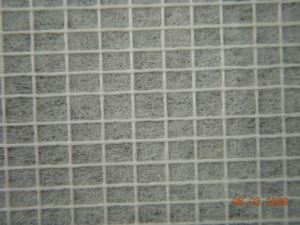 Excellent substrate material for APP and SBS modified bitumen membrane. 2. Ideal base material for pipe wrapping. 3. Paving mat for Express way and airport runway. 4. Reinforcement for high strength sports floor.